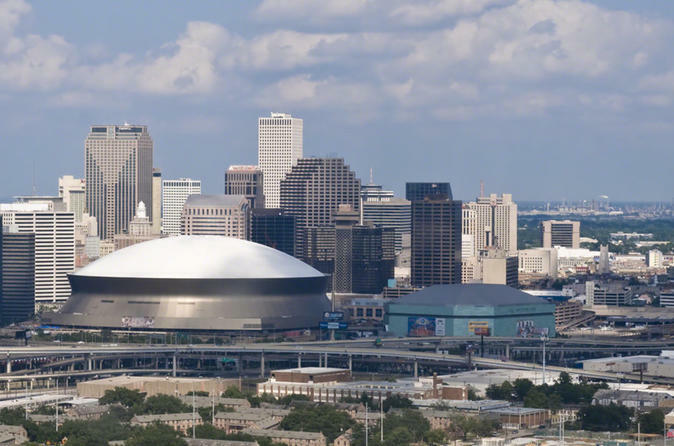 Go beyond the typical city tour experience and see New Orleans like a local. This tour operator takes their guests beyond the typical tourist experience, relax in an enclosed air-conditioned minibus that runs every day. You'll get a great introduction to the history, culture and architecture of this magnificent city. Your tour begins when you pass through the French Quarter and travel past the mansions along Esplanade Avenue on your way to a stop in City Park where you can visit the Morning Call Cafe' for coffee and beignets, or view the Besthoff Sculpture Garden. In addition, you will see the Ninth Ward, a neighborhood devastated by Hurricane Katrina. View the Garden District with it's vast mansions that line pristine boulevards, the Warehouse District, Faubourg Treme- one of the oldest African American neighborhoods in the country dating back to the 1700's, pass through the area formerly known as the American Sector, Home of the internationally acclaimed World War II Museum, and the Contemporary Arts Center, which is one of the country's first art institutions. The tour also makes a brief stop at the Metairie Cemetery, where you will see the city's distinctive above-ground tombs. You'll get a great introduction to the history, culture and architecture of this magnificient city.